A few years ago, if you wanted to take a cruise from a U.S. port, you didn't have a lot of choices. If you were dreaming of the Caribbean, you would book a flight to Miami, Fort Lauderdale or Port Canaveral and then set sail. 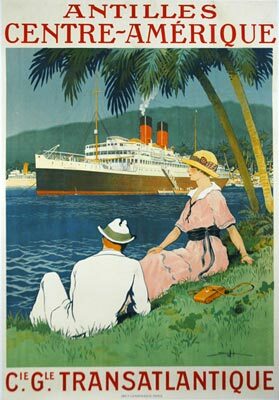 If you lived west of the Rockies and wanted a winter cruise, you caught a plane to Los Angeles and set off to the Mexican Riviera. But that was it. A few other cities, such as New York, offered a handful of sailings each year, but they amounted to mere novelties or the late QE2 making her transatlantic crossings. Over the past six years, however, there's been a tidal wave of so called homeport or homeland cruises. 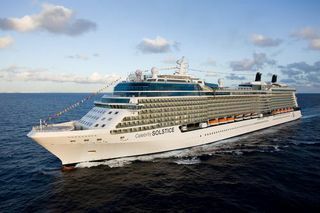 You can now board a Caribbean bound cruise ship in nearly 20 American cities, such as Boston, Baltimore or Norfolk. Others like Mobile, Alabama, and Tampa, Florida, have joined the ranks of Miami and Fort Lauderdale as Caribbean cruise ports. You can take a Mexico bound ship from San Francisco, or depart Galveston, Texas, to explore the Yucatan coast of Mexico. New York City has become a cruise mecca, with ships leaving for the Caribbean, Canada and New England. The latter itineraries, once confined to fall, now run in summer as well and offer affordable ways to explore places like Bar Harbor, Maine, and Halifax, Nova Scotia. In short, cruising from U.S. ports is easier and cheaper than ever before; depending on where you live, you can drive to the piers and eliminate the cost of airfare. Credit the post 9/11 travel climate for all the new embarkation ports. After that fateful day, many Americans developed an aversion to flying and in response the major cruise lines rushed to establish new cruise ship ports in cities within easy driving distance of millions of Americans. "A few years ago, Miami, Port Canaveral and Los Angeles were our only U.S. ports of embarkation," says Terry Thornton of Carnival Cruise Line. "Now we have 17 American ports and we're looking to add Baltimore and Philadelphia." Travelers are getting the message. In 2001 120,000 people took a Carnival cruise out of Galveston. In 2008 about 330,000 sailed from the Texas port. Before September 11, 2001, Philadelphia had only occasional cruise ship departures. In 2007 there were 20 sailings. And the boom has changed the New York waterfront. In 2004 Cape Liberty Cruise Port opened in neighboring New Jersey, followed in 2006 by the Brooklyn Cruise Terminal. They were needed to accommodate the more than one million passengers who were overwhelming the Manhattan Cruise Terminal every year. Fear of flying may still be responsible for a few cruise goers who opt for a homeport cruise, but most of them are choosing these cruises because air travel is expensive and fraught with difficulties. "The hassles and the cost of flying are becoming major issues," Thornton of Carnival explains. "You've got to arrive two hours early at the airport and worry about your baggage arriving." The recent downsizing of aircraft and the reduced number of flights are added incentives to drive rather than fly. Tens of millions of Americans live within six hours driving distance of East Coast, West Coast or Gulf Coast ports. Some may choose to drive even farther to avoid high airfares and pay only for long term parking and gas. If you are within driving distance, or you happen to live near a coastal city that offers homeport cruises, the major savings is indeed airfare. Look at a cruise for September 2009 to get an idea of what you might save. 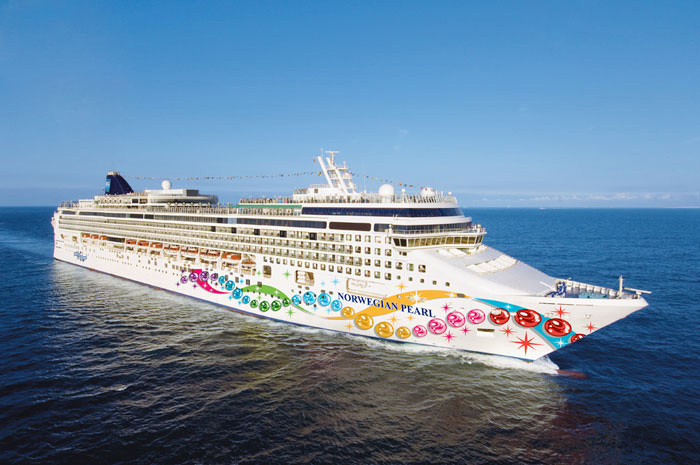 Expedia is selling Norwegian Cruise Line weekly cruises from New York City to New England and Canada that start at $729 per person for an ocean view cabin on September 6. Apart from taxes and port charges, that's it. But if you had to fly into New York, you'd be looking at $250 or $400 or more per person for the flight, depending upon where you were flying from, plus transfers from the airport to the cruise dock. Thanks to homeporting, long weekend cruises and even overnight sailings are now readily available. Since not everyone can get away for a week, there are a host of weekend cruises that can sate your appetite for a taste of the high seas. These are typically two- and three night trips that offer a sample of the cruise lifestyle. Carnival Cruise Line, Celebrity Cruises, Norwegian Cruise Line and Royal Caribbean offer the lion's share of weekend cruises. Short cruises to nowhere are popular for one or two night sailings from New York City. In the West, Ensenada, in Baja, Mexico, is a northerly Mexican destination for short cruises from California. And you can depart Seattle for a quick trip to Victoria, British Columbia. Sailing from Florida, there are ships to Key West, as well as to the Bahamas. And ships leave from New Orleans, Galveston or Mobile to Cozumel. The biggest benefit of these short cruises is that you get to experience a cruise line's style without a major commitment of time and money. For some cruise goers, the disadvantage of a homeport cruise can be the number of days spent at sea. If you sail from New York to the Caribbean, for example, you have a full day of sea travel on either end of your trip to and from Caribbean waters. Given those extra travel days, there are a limited number of ports that any ship leaving from a northeastern city can comfortably visit on a 7 or 10 day cruise If you've spent a lot of time in the Caribbean, you might find the limited itineraries a tad boring. But the upside is that so called blue water days spent at sea are often what experienced cruisers like the best. Also be aware of "brochure speak." That "three day cruise," might mean you depart in the early evening on the first day and arrive back to port just after sunrise on the third day. That's not much time. Another reason to look closely at your departure hour is that you might need to arrive the day before your cruise to catch an early morning sailing. If you're driving five or six hours to the port, that means you'll need to factor in for the cost of a hotel room before you sail. As with any cruise, it pays to shop around. It's become much easier to book a cruise online, but you might still consider using a travel agent. Seasoned agents can recommend the best ships and the choice cabins, and often get you a stateroom upgrade as well. Whichever way you shop, you'll find that the price difference between a seven-night cruise and a long weekend cruise may not be that much. And fares tend to go down closer to the sailing. Your best bet for the biggest savings on a homeport cruise might be waiting, especially in this economy. Empty berths are often sold at a deep discount in the weeks before a cruise, and if you don't have to find a flight, you can book closer to embarkation date. Last fall, I was looking at seven night Caribbean cruises on the Norwegian Spirit departing two weeks later from New Orleans. Ocean-view cabins began at $379 per person. Considering that all your meals are included, it was almost cheaper to sail than to stay at home. In these tough economic times, that may be incentive enough to park at the pier and weigh anchor. This article originally appeared at DiversionMagazine.com. It’s really detailed and well explained post. I really like the information you had shared with us. It gonna help us in planning our holidays. Thanks for sharing..